An electrical issue started the fire Saturday night at a dorm at Southern New Hampshire University that displaced 55 students. 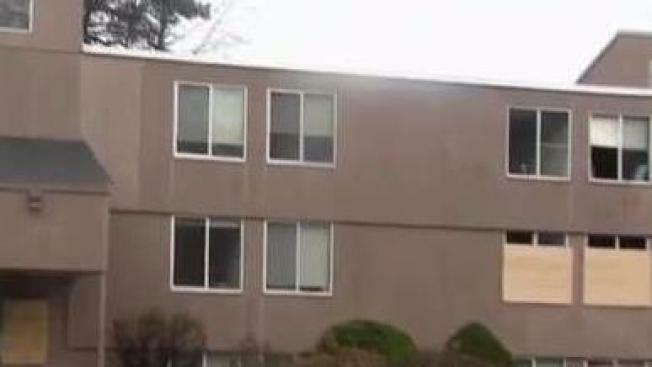 Officials boarded up windows Sunday after dozens of students were displaced after a fire at their dorm. 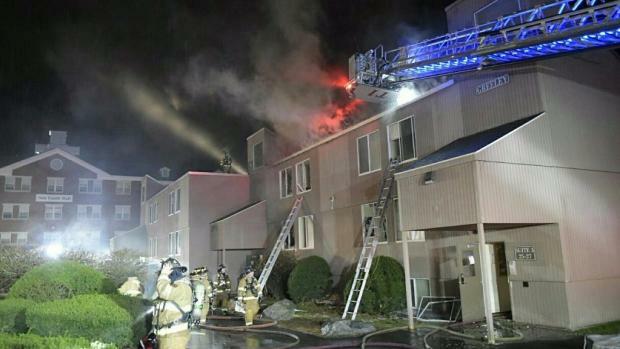 Firefighters responded Saturday night to Southern New Hampshire University in Hooksett for a residential dormitory fire. Fifty-five students live in Greely Hall, the dorm that caught on fire, and they were all able to make it out okay. It was an electrical issue that started the fire at 7:45 p.m.
55 students were evacuated from Greely Hall in Southern New Hampshire University when a fire started in the building just before 8 p.m. on Saturday. The Manchester Fire Chief says it appears the fire started between the second and third floors in the ceiling. It took officials an hour to get the fire under control, and firefighters had to use foam to put the flames out. The dorm that caught fire is the oldest dorm on campus at Southern New Hampshire University. It's one of the original dorms when this school was New Hampshire College. Some of the students lost everything they have at school, including laptops, books, and clothes. A spokeswoman for the university says they wll help students get back on their feet. "We're just trying to do everything that we can to make sure that they're safe and warm, and can finish out the rest of the semester," said Lauren Keane. Their immediate focus is to help students replace what they lost that they need right away, like linens. People were also going in to try to recover anything that's salvageable. The school has put the displaced students up in a hotel for the time being. They say they are mostly graduate students and that they do have enough housing to relocate the students into different housing for the remainder of the year. The university also says if this had to happen, they lucked out. "Stuff is replaceable. Buildings are replaceable," Keane said. "We are just really, really thankful that all of our students and safe and accounted for."